Enhancing your coffee, tea, and hot alcoholic beverage service is great way to finish a meal and leave your customers with a memorable experience. Glass coffee and tea mugs offer a refined and graceful way to highlight these premium beverages. 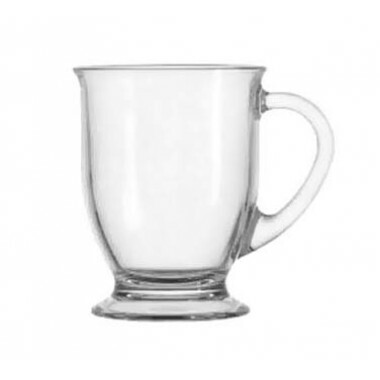 Cappuccino, Chai, Mocha, or Latte, our selection of glass coffee and tea mugs provides a variety of presentation options. Classic pedestals offer stability and style.